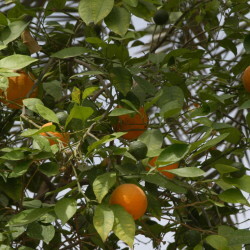 Sour Seville Oranges grow on these medium-sized trees that may develop to a maximum height of 10 metres, achieving a round crown. Northeast India, Bangladesh and Myanmar are the presumed homelands of this species. More than 1,000 years ago it was introduced into the Mediterranean and became so popular that its vernacular name honours the Spanish town of Seville. 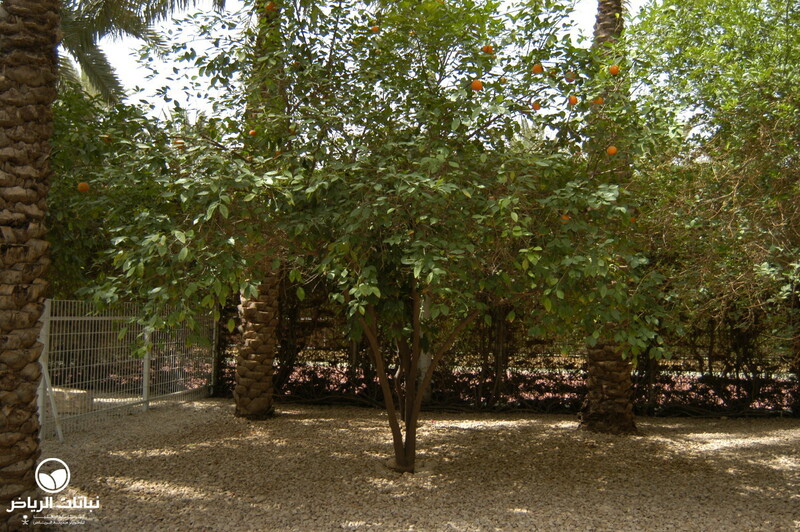 A vigorous grower in Arriyadh, the flowers produce an unsurpassed fragrance for several weeks in spring and are a welcome feature in many gardens. Thorny twigs bear shiny, dark-green leaves that release an aromatic scent when bruised. They measure about 12 × 7 cm. The white flowers are borne in spring and may be harvested to distil perfume. 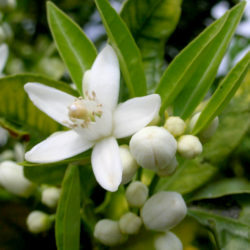 Some cultivars are grown for producing essential oils that is traded as ‘neroli oil’. 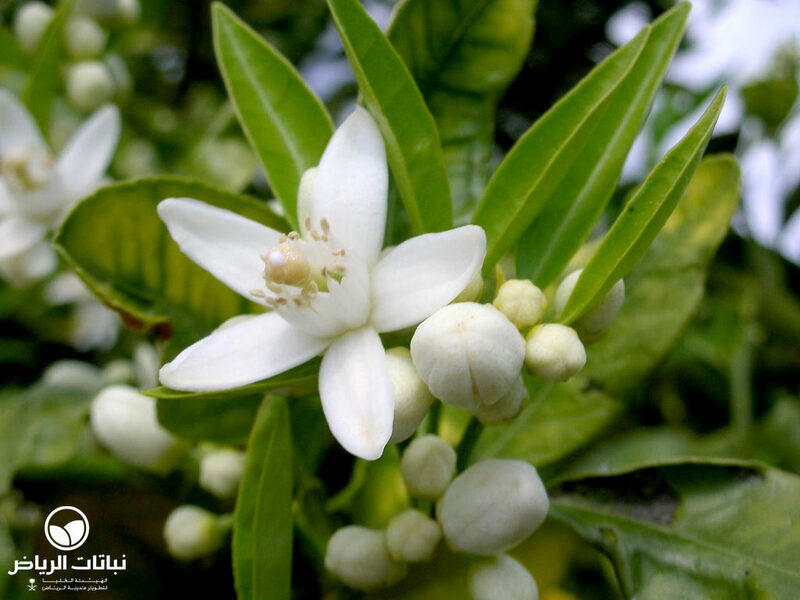 Pollinated blossoms are followed by yellow-orange fruits that measure up to 8 cm across. The acidic, bitter pulp contains a large number of white seeds, and is enclosed by strongly aromatic peel. 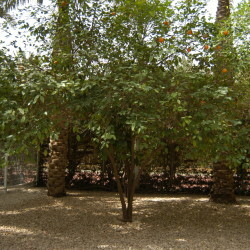 In orchards, the trees are spaced some 5 metres apart. The plant is tolerant of almost any kind of soil and is therefore sometimes used to bear graftings of more delicate citrus species. Heat is tolerated with appropriate soil humidity. Brief frosts do not harm healthy plants seriously, but soft leaves and non-lignified branches may be damaged. They take severe pruning and even recover from being coppiced. 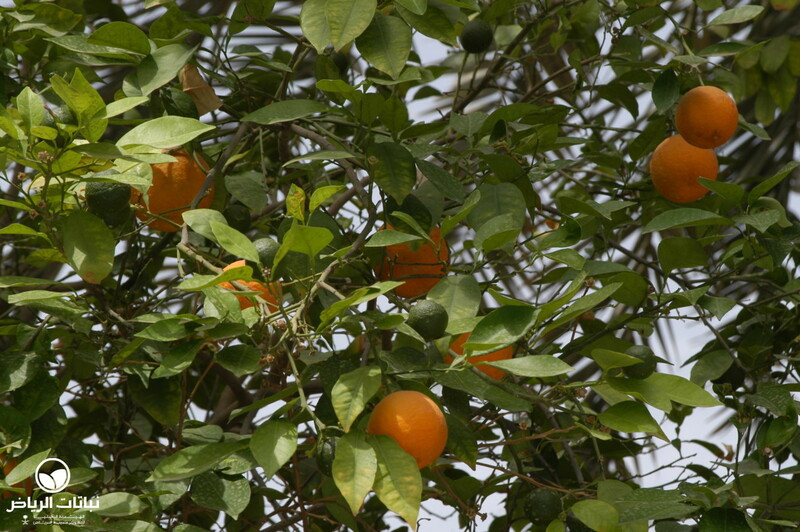 Sour Seville Oranges may be propagated by seeds for ornamental purposes and by grafting if cultivars are to retain certain characteristics.